Once upon a time I visited a magical land called Portland and had a magical green smoothie from Kure Juice Bar. It had coconut, avocado and kale and was seriously fantastic. A year and a half has passed since that trip, and after many attempts I have finally been able to create a green protein smoothie that is almost as great as the original one from Kure. 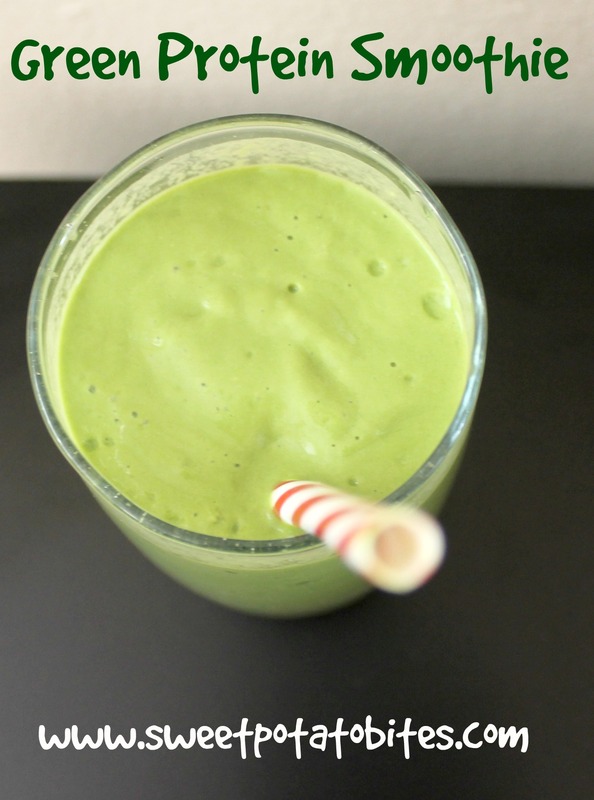 I don’t always love posting smoothie recipes since really all you do is throw a bunch of ingredients in a blender and pour into a glass, but since I spent months trying to re-create the Kure one, I figured this green protein smoothie gets a pass. The main difference between this smoothie and the Kure Juice bar one is that I added protein powder, but you can still remove the protein powder and it will be quite tasty. Trust me. The avocado gives the smoothie a nice creamy texture and the kale is a nice little nutrient punch. However you look at it, this is a delicious drink that can be enjoyed pretty much anytime. 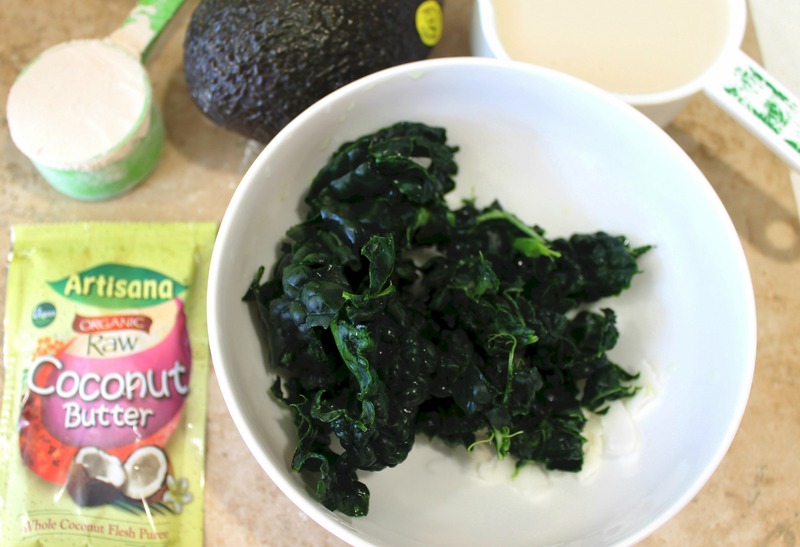 Throw all of your ingredients in a blender. Blend until smooth. Pour into a glass and drink with a fun straw. Repeat. This entry was posted in Cooking, Gluten-Free, Healthy, Paleo, Vegan and tagged green smoothie, healthy eats on January 26, 2015 by allie@sweetpotatobites.